VW diesel-emissions scandal is now involved in varied tags. This includes corporate lying, nasty air pollutants and also massive budget slashing and product reorganizations even if they are considered one of the world’s largest automakers. Yet, at the heart of this issue sit that the cars remained stop-sales in the US. Their cheating aside, VW’s TDI models echoes efficiency and fun. It also offers crisply tuned dynamics, manual transmissions and gobs of torque in sedans, hatchbacks and crossovers that can return as high as 50 mpg. 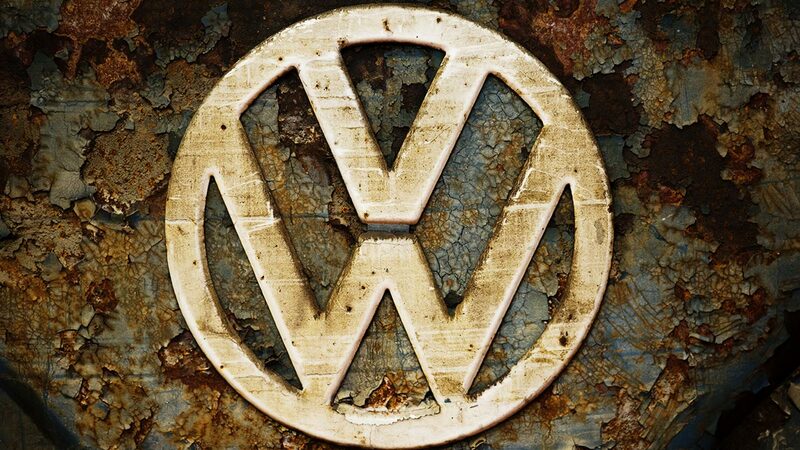 Today, if recent comments from US CEO Hinrich Woebcken proves true, VW ay never sell those cars again. “We are not stopping diesel. Wherever diesel makes sense as a package to the car, we’ll continue,” Woebcken told Automotive News. “But in reality, we have to accept that the high percentage of diesels that we had before will not come back again.” Plus, VW is set to realize their ambitious plan to have 30 electric models by 2025. Even more, they have been forced by the US government to invest billions in creating charging stations and other state-level environmental initiatives over the next few years. This is actually part of their settlement. VW’s TDI models represented nearly a quarter of all of their US sales before the sales were halted last year. Since then, VW’s monthly sales have been down. Dealers are now complaining with regards to their compensation because of lost revenue. If we are to consider Woebken’s comments, the company would need to find a replacement for that volume. And this must be done efficiently. VW hasn’t applied for new diesel sales certifications. Even more, their other popular brands like Audi and Porsche diesels currently have a huge gap. Even if sales might be depressing, it’s easy to see these models once again popular simply because VW began reselling them this time. Truly, it is already a tough market in the US. However, VW has proven resilient not only as a company but also with their car brand models. I believe that with their new direction to electric vehicles, they will be able to bounce back. Not in terms of selling diesel cars but selling electric ones. In an email last Friday, CARB or the California Air Resources Board confirmed that the regulator was already ready to commence testing hardware and software that might fix pollution issue with over 475,000 cars with 2.0L diesel vehicles from the VW Group. This is after the said car brand was caught installing illegal software in order to make their car comply with the US emissions tests. The cars can be able to turn on their emissions control should it be tested in the lab and turned the emissions control system off if driven under real world conditions. According to Reuters, CARB now indicate that there will be fixes with regard to the three generations of diesels. This will encompass both hardware and software updates. The regulator even said that VW Group must bring the cars within 80 to 90 percent of pollution standards to have any fixes approved. According to Mary Nichols, CARB head that VW do not need to bring the cars to 100 percent compliance with the pollution standards. The car brand has already agreed to put as much as $2.7 billion on terms of pollution mitigation fund. This will aid on offsetting the damages of their cars. CARB is currently working closely with EPA or the Environmental Protection Agency. Any fix approved by California’s air regulators will stand a good chance to being approved by EPA as well. In January, CARB rejected VW Group’s proposed recall plan by indicating that the company did not provide details and necessary data to the regulator. EPA issues then a quick statement after CARB’s decision. In her interview with Reuters, Nichols said that Volkswagen’s people are being much more cooperative this summer than they were late last year. “They brought in a whole new team of people to work on various aspects of this,” Nichols told Reuters. ”There’s just a greater sense that we’re dealing with people who have access to the decision makers in Germany and who understand their credibility is on the line." This is indeed good news for the car maker most specially that they are threading dark waters with a lot of cases being filed against them. Given that they could just accomplish 80 to 90 percent instead of 100, they could be able to devote their extra time to other pressing concerns. Plus, this could also aid in cutting the costs of the amount that was promised by VW. Under the settlement that got approved last week, VW is required to either buy back over 466,00 2.0 liter TDI diesel cars or modify them in order to meet emissions standards. Yet, much skepticism persists among the owners and in the media with regards to whether VW can devise real modifications that can meet regulators. Another question that comes to mind would be just how long the process will be. Ten months after VW admitted using “defeat device” software, we cannot deny how the German car brand is making some progress. The California Air Resources Board is already preparing to test hardware and also software modifications for all of its varieties of VW and Audi 2.0 liter TDI models. This is along with the federal Environmental Protection Agency (EPA), CARB must approve first any modifications before it will be implemented by VW. The two agencies will therefore jointly evaluate the changes. VW now appears to be taking this matter according to Mary Nichols, the CARB chair in an interview. The VW Group even brought a new team in order to work on the modifications and seems to have better access to “the decision makers in Germany”. It was noted that last January, CARB rejected VW’s proposal for modifications on the 2.0 liter TDI models. This is mainly because of insufficient details. According to Nichols the modifications needed by CARB plans to encompass all three “generations” of 2.0 liter of VW and Audi cars. This spans model from year 2009 to 2015. In order for the German car maker to pass, they need to be able to reduce emissions from their non-compliant diesels to within 80 to 90 percent of emissions standards. The full compliance will not be required since VW agrees to pay $2.7 billion over the next three years in order to reduce diesel pollution from other sources. I must say that this is most definitely a good working solution for VW. Apart from only 80 to 90 percent needed, at least they can also be able to pay in the course of the next three years. Such solution is far more sustainable and immediate, something that is currently needed. As such, it is now in VW’s ballgame with regards to their modifications. But I am most certain they could be able to come up with solution that will be approved by the two agencies. Just a year ago, VW Group confessed in private to US authorities that they rigged their diesel engines to pass emissions testing. Two weeks after that announcement, it was made public. The time in between that span was proven costly to some investors. 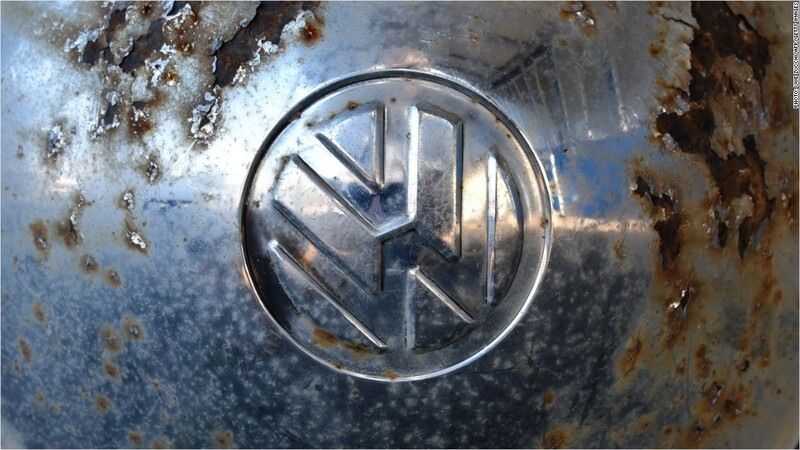 September 3 of 2015, VW echoed to the US Environmental Protection Agency that half a million clean diesels sold in the US in the span of several years were deemed fraudulent. Plus, it also is unable to remotely meet emission limits on the road. No one outside the two parties had any clue about this admission of guilt. Simply because everyone was kept in the dark by the German car brands. This includes their customers, dealers, workers and even the car maker's investors. It was not until September 18 that the public was informed. During this time, EPA posted the Notice of Violation it sent to VW which the company indicated was “unexpected”. It seems as a surprise for the automaker since the discussions two weeks prior were going well enough. They were surprise. VW insisted that the existing German shareholder lawsuits are without merit. The maximum penalty of $18 billion had never been applied. The previous fine record was just $100 million for 1.1 million vehicles. The worse that they could have expected was just $45 million. This amount would not be high enough to move the stock price. Yet the real significance came that there were over 11 million affected cars on September 22. Investors still were not able to see it that way. The stock cratered losing a quarter of its value as investors discounted the reputational damage. Not to mention the deliberate and intentional nature of the crime. Lawyers were also keen in saying that the risks to VW could even be greater. A court ruling coincidentally stems to claims reaching back before September 3. According to that of the European Court, not only the actual event that stocks moves be considered, “also the intermediate steps of that process which are connected with bringing about that future circumstance or event”. And now a year after, this is still far from over. Not only are countries and states suing VW but also a long list of their investors since they were not informed ahead of time. It is no wonder then that this battle is indeed costly. Not to mention, the EU is now moving to sue the German car brand. Even VW’s CEO indicated that if that will push through, VW could be bankrupt. The head of VW AG’s North American operations indicated that the car brand is still uncertain. This is with regards to when they will bring back their diesel engines to the country or if they will bring it back. This does not only cover cars but also their light trucks. Hinrich Woebcken indicated last Tuesday that it will be more difficult for light vehicle diesel engines to meet the legal requirements. This is because the US emissions regulations are tightening. Hence, the company needs to focus on gasoline-powered vehicles and also will create gradually their hybrid-electric cars and even an all electric cars. VW currently is not selling their diesel powered cars. This is because of the still on-going diesel emissions scandal. It was exposed exactly a year ago. Mr. Woebcken said that the sales of their non-diesels have already exceeded the company’s expectations. There is no denying that they have lost such market before because of diesel reliance. Plus, being able not to sell such definitely cripples their sales and more so their finances. He further indicated that they are currently evaluating the potential for a return of their diesel vehicles to the country. However, this will be on a “product by product and package by package” basis. This technology would require extensive and also costly treatment in order to meet the current emissions standards. In this side of Europe, this happens to be popular. VW’s experienced 1.8 percent market share in August as compared to the 2.1 percent they achieved in the eight month period way back in 2015. This is according to Autodata Corp, market researcher. Autodata estimated that VW’s incentive spending increased by 31 percent because of its passenger cars through August. The light truck incentive spending also increased to 10 percent. This was then compared with the same period last year. The wider US auto industry became more dependent on sales incentives as retail growth has cooled in 2016. Diesel-powered cars of light vehicles plummeted in sales because of VW’s pullback. VW is currently in talks with regulators in line with fixes for certain diesel models it sold in the US for years. These were after all equipped with software that cheats its way to emissions testing. VW already agreed to settle for $15 billion in order to solve the situation. Not selling their diesel cars in the US is actually a good plan. They need their market to rest first prior to injecting it again. I like the idea that they would now be focusing on hybrid and electric cars. This could be their ticket to regain the US customers back. More so, this can leverage their reputation. Halting diesel cars is definitely a good move. Europe’s car emissions test seems it has been inadequate for decades. This is as a top US regulator told European Union lawmakers last Monday. He states that much stronger enforcement is needed in order to stop cheating by car makers like what happened with VW. Christopher Grundler of the US Environmental Protection Agency is currently testifying before a European Parliament committee. They are investigating for possible foul play in line with the diesel-car emissions tests. “The European test cycle has been acknowledged quite broadly since the 1990s to be inadequate,” Grundler, director of the EPA’s transportation and air quality office, said in line with lawmaker’s questions. “Our experience has been that a comprehensive approach is required that means testing vehicles in use as well as having the authority to then follow through enforcement actions.” Brussels proposed testing vehicles on roads rather than on labs. Considering the scandal last year, it was noted that because of loopholes, it has allowed toxic nitrogen oxide emissions reach seven times the suggested European limits. Nitrogen oxide contributes to acid rain and respiratory illnesses. It is even blamed for hundreds of thousands of deaths each year around the globe. Verifying if RDE or real-driving emissions test can indeed stop carmakers from cheating, Grundle said EU regulators has more work to do. Gaps have yet to be addressed with regards to checking vehicle compliance. This includes testing for the robustness of exhaust-curbing technology. This is after vehicles have been in use for some years or for the amount of gases spewed out. “It is not enough to have sound standards and sound test procedures,” he told lawmakers. “How they are implemented in practice and the market surveillance aspects are also very, very important … that is the main challenge.” Automakers even acknowledge that EU laws allow the use of software for shutting off technology. This lowers tailpipe gases to protect the car’s engine. This argument has been described by EU officials as disingenuous when it would be triggered by everyday-road conditions. Grundler pointed to fines that totals to $1 billion. This was imposed by the EPA on the auto industry over the use of such devices. It is really indeed a question why there are many car brands and models who passed emissions testing. No wonder EPA is wondering why this happened. It would be best that they have the same regulations as that of US. More so, this needs to be revisited and updated. The influential US magazine Consumer Reports has urged the Justice Department to hike compensation of over 475,000 owners of polluting VW diesel vehicles. In addition, allowing the owners who would opt for a fix to reconsider. In their comments filed on Friday with regards to the proposed agreement, the magazine indicated that the buyback offer undervalues retail prices. Even more, it urged the use of values that "would lead to buyback offers for consumers that would be at least several hundred dollars higher." Consumer Report would also want owners that will choose fixing their cars to change their mind and instead just sell the car back to VW. This is due to the fact that the car may perform differently once the fix would be performed. This public comment period for the VW consent decrees that ends last Friday right after US District Judge Charles Breyer granted preliminary approval last July 26 to the settlement. This would require VW US automotive buyback offer. Apart from that, they also set an October 18 hearing in order to grant final approval. 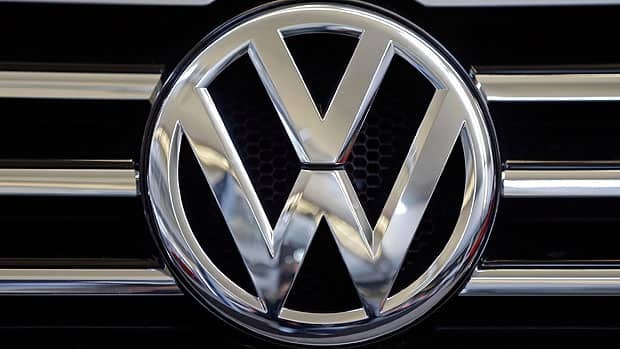 VW agrees to spend up to $10.033 billion with regards on the buyback for their 2.0 liter vehicles that have emitted up to 40 times allowable pollution. They also agree separate settlements that are worth $5.3 billion in order to offset excess pollution. Plus, they would also be boosting clean vehicles and even compensate more than 40 US states. Consumer Reports said it generally supported the settlement, but urged "regulators to wield robust oversight of Volkswagen to ensure that the company implements its recall, investment, and mitigation programs appropriately" and it called on "federal and state officials to assess tough civil penalties and any appropriate criminal penalties against the company in order to hold it fully accountable." This can be a good suggestion in line with the settlement towards the German car brand. I know for a fact that they are just looking for the welfare of their customers. Even more, they are pushing for other avenues where they can tow away from their diesel cars. No wonder they are shifting their company paradigm to something cleaner. The diesel owners are currently affected with the emissions scandal since last year are already a step closer to resolve on the matter. As such they can now be able to sell their cars back at a premium price. This is because of a buyback program which will be on track to commence this October. A federal judge indicated yesterday that he already gave his preliminary approval with regards to the proposed $14.7 billion diesel emissions settlement. This includes a $10 billion consumer compensation fund for individuals who bought or even leased the diesel versions of the Volkswagen Passat, Golf and other 2.0-liter diesel engine vehicles. It was noted that these vehicles were the ones equipped with the defeat devices that has an illegal technology that allows vehicles to pass emissions test despite the emissions and the level of pollution emitted to the environment. Final approval of the said settlement is due until mid-October. Yet US District Judge Charles Breyer already gave the go ahead signal for the German car brand. 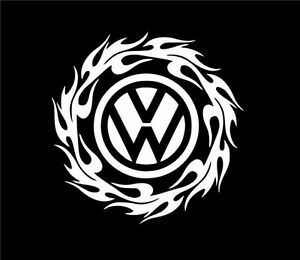 VW owners and lessees should be able to hear from the brand soon. VW said in a statement that those individuals will soon receive notification of their “rights and options” under the agreement. The said settlement would give the owners the option to either sell back their vehicles or terminate their lease without a penalty. Should there be an approved technical fix, this would help the vehicles comply with emissions standards. VW owners and the lessees would also have the option to keep their vehicles and just get a free repair instead. They will also be provided with a cash payment for the car. VW said that the settlement program will be launched immediately after the final approval will be granted by the court. We can clearly see that VW is already doing initial steps towards resolving the diesel emissions cheating scandal last year. Even more, they are keen towards solving this in the soonest possible time. This is evident by their keen sense of contacting customers as early as now to proceed with the repairs and the settlement. At least they are now working towards correcting the mistake.